'If the melody is timeless, it won’t let you down' sings Richard Ashcroft as he belts out "Music Is Power;" a mantra this local hero lives by. It's also true of many of the songs on show during the nearly two hour set. Throughout a muggy night, Wigan's finest export ploughed soul into every person in the crowd - no exceptions given. 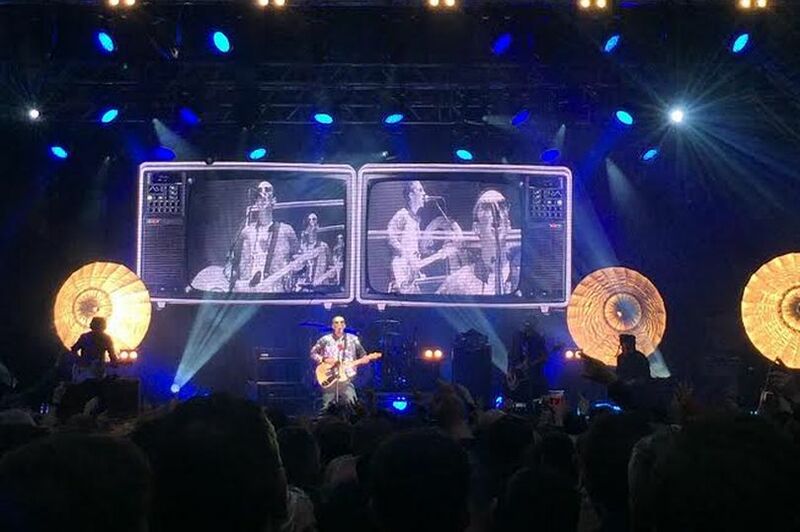 Taking the stage in a radiant mirrorball jacket, trademark shades and an ‘I love Manchester’ t-shirt, Ashcroft cut a charismatic figure as he opened with aplomb with the disco tinged "Out Of My Body." Whilst there is plenty of new material in the set, the songs from the now 20 year old Urban Hymns bring the biggest cheers and mass singalongs. An early outing for "Sonnet" and a blistering version of "Space and Time" ensure the crowd is firmly in the palm of the band's hand. "Song For Lovers" was dedicated to the musical luminaries of Manchester; Stone Roses, Johnny Marr and Shaun Ryder were all name checked before an impromptu stage invasion from the 81 year old legend Lee ‘Scratch’ Perry, who provided main support. His words of love to Manchester only heightened the already dense positivity. One thing that Richard Ashcroft has never been short of is confidence. Before "They Don’t Know Me" he admits himself that the next song is epic. He isn’t wrong. Another singalong full of elation follows before the crowd are asked to testify during the "Science Of Silence" – during which the visuals show Google Earth gradually zooming in on Castlefield Bowl. Ashcroft’s main set drew to a close with The Verve classic, "Lucky Man." With arms aloft and people raised up on people’s shoulders, the Friday night Mancunian choir were just getting started. Taking the stage for an encore on his own, Ashcroft treated the crowd to great solo renditions of "Weeping Willow" and "These People" before the band re-joined for an emphatic performance of "The Drugs Don’t Work." "Hold On" punctuated the encore before a completely amazing version of "Bittersweet Symphony" rounded out the night. The crowd were incredibly loud, and the smiles on people’s faces were even greater. Timeless melodies, soaring vocals, epic songs and a crowd in complete unison made for a triumphant night at the Bowl for one of England’s best voices and songwriters.